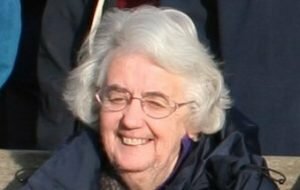 Joy Gadsby was the secretary of Christian Rural Concern for many years and when CRuC joined in partnership with JRI to prepare a Christian Rural and Environmental Studies (CRES) certificate and diploma Joy was one of those instrumental in bringing that into being. Joy’s “rather wonderful young man” was killed in World War 2 and she never married – living in Sanderstead all her life, initially with her parents and then, in her retirement, surrounded by her many friends and family. She was, at one time, PA to the managing director of a prominent industry and she brought the considerable skills learnt there to CRuC and CRES. A person who was always keen to learn, Joy was one of the early students of the CRuC course and later a diploma student with CRES, gaining a distinction in both. 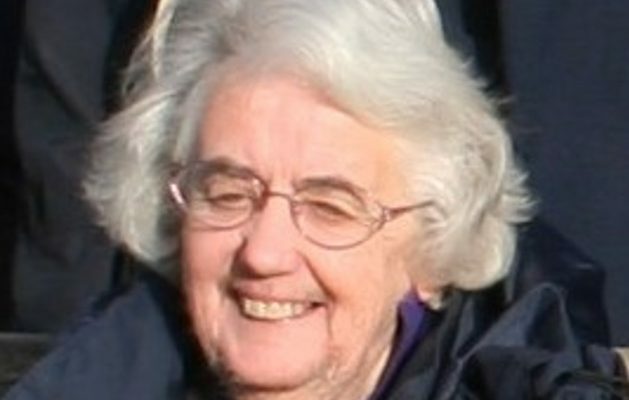 Her interests were wide and varied – a faithful worshipper at All Saints, Sanderstead, a lover of Scandinavian life and culture which resulted in her forming deep friendships in both Denmark and Norway, a keen and knowledgeable botanist who took a great interest in her local environment, particularly the ancient woodland adjoining Sanderstead. All this and much more means that as she enters into the joy of the presence of her Lord we will sorely miss her presence amongst us as a warm, gracious and gifted lady. We give thanks for all she gave to CRES, CRuC and JRI.